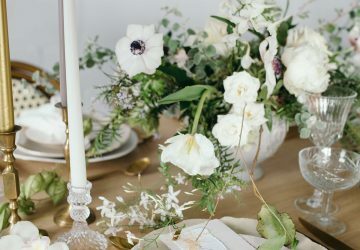 A couple of weeks ago we exhibited at The Midlands Vintage Chic Wedding Fair. 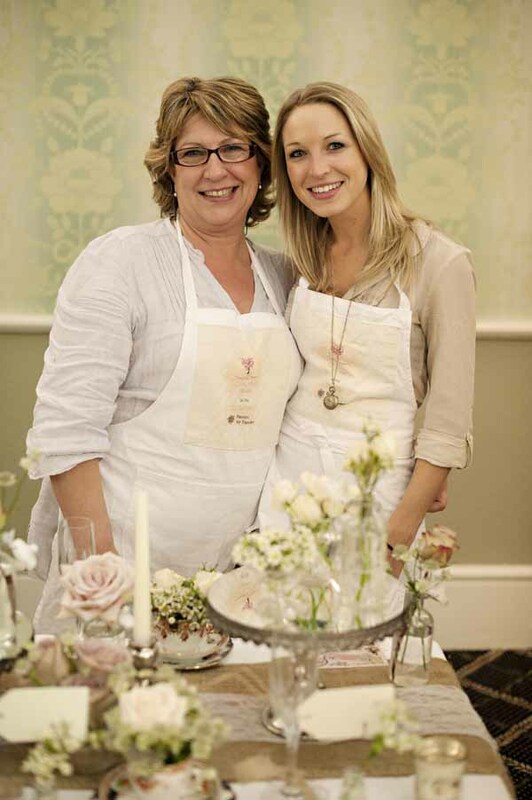 It was a great day, some fabulous wedding suppliers were exhibiting and we met lots of lovely brides and grooms. 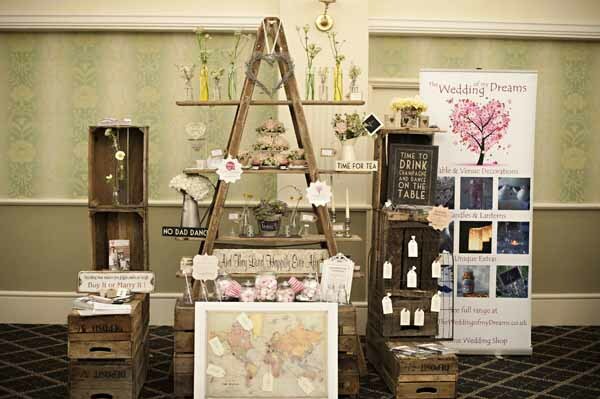 Nicola from Daffodil Waves Photography was kind enough to take some shots of our stand. 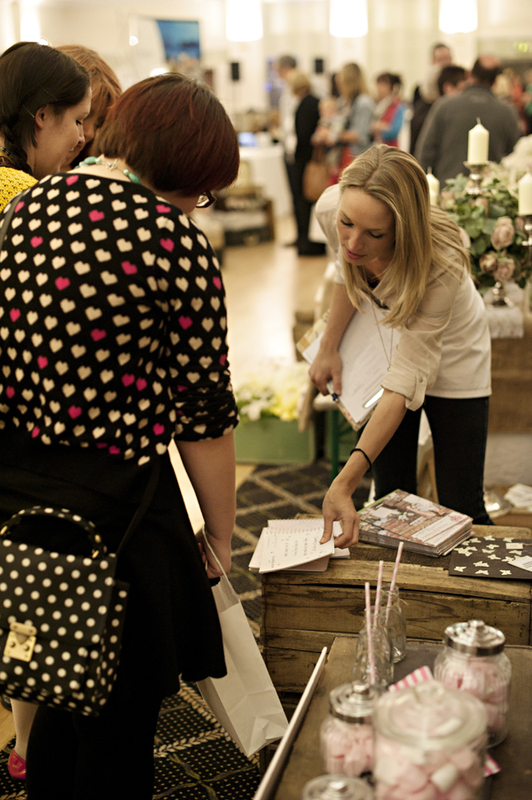 If you’ve got any questions about any of the products on display, leave us a comment and we’ll get back to you. 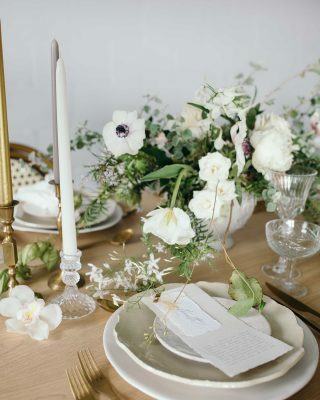 We are rather proud of our vintage ladders picked up while on a shoot down in Cobham, they make the perfect display for our wedding decorations. 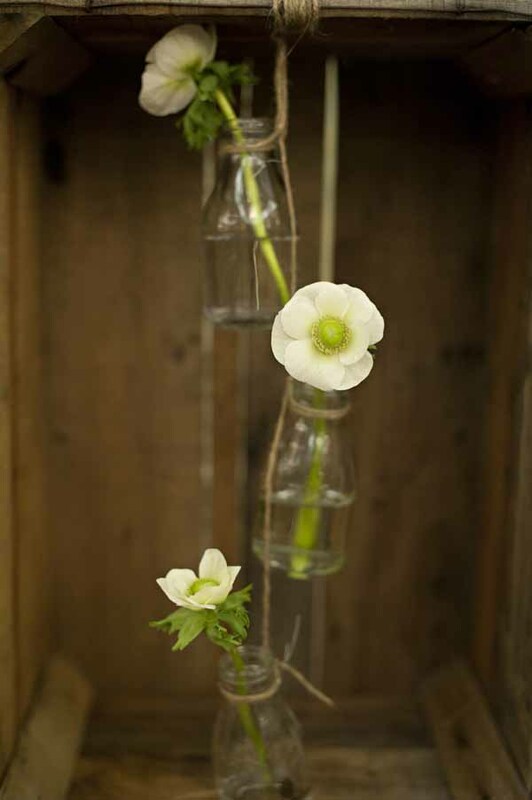 Old School Milk Bottles were admired by all. 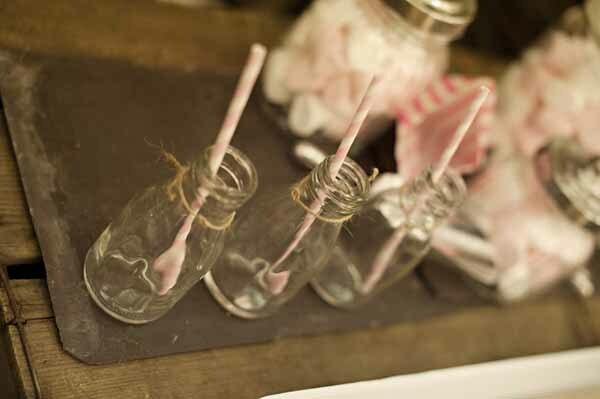 These are the old school 1/3 pint milk bottles you may remember from school. 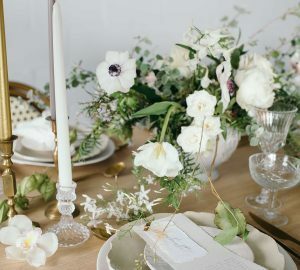 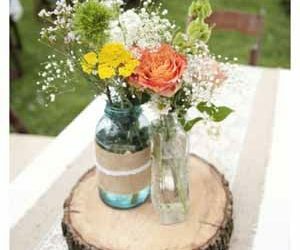 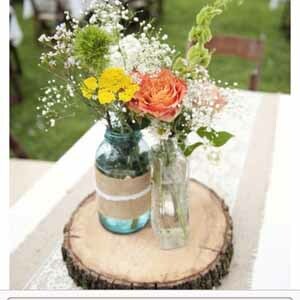 Put a single flower head in them and use as table decorations or hang with twine from trees. 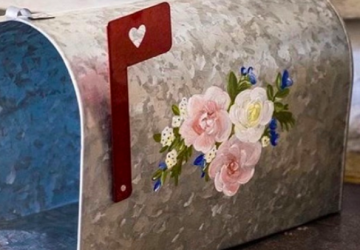 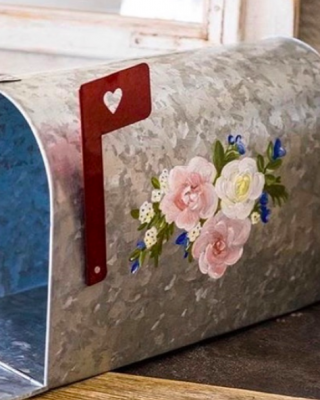 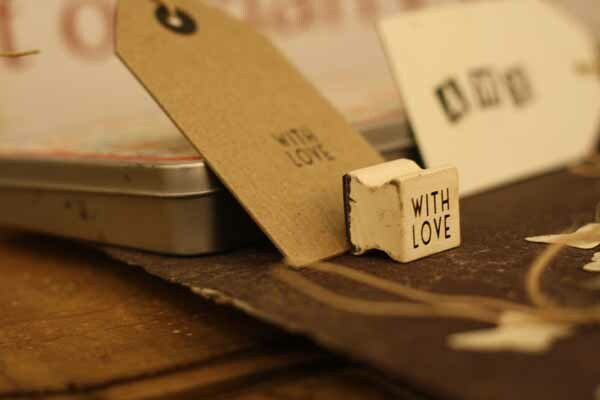 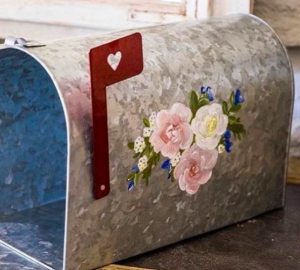 For DIY touches to wedding favours or invitations you might want to try our WITH LOVE stamp or Alphabet Stamps . 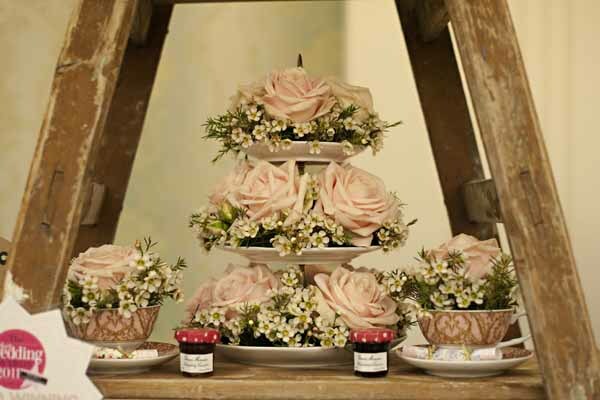 Three Tired Cake Stand and Tea Cups with Mini Crackers and Jam Wedding Favours. 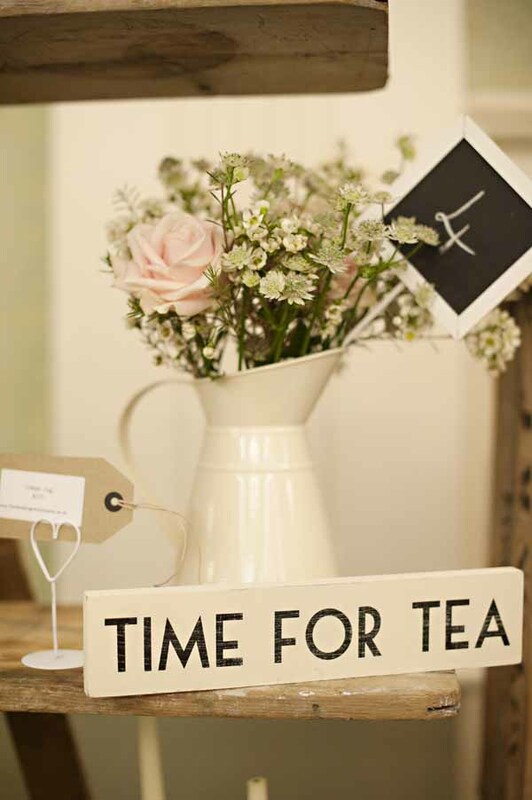 Simple cream jug with Sweet Avalanche roses and Astrantia would make a lovely table centre, Blackboard Signs for numbering tables and finished off with our favourite Time for Tea Sign. 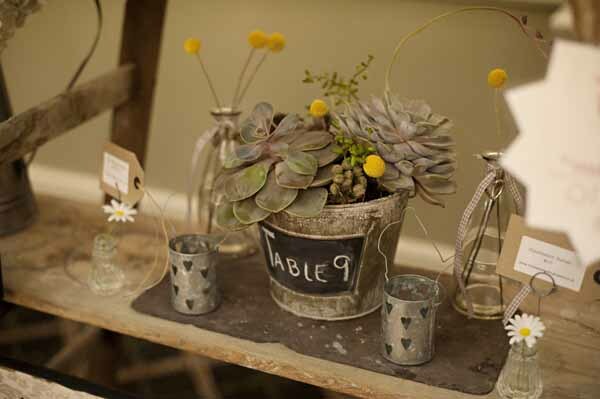 For a more rustic grey and yellow look fill blackboard buckets with succulents and add a touch of yellow with craspedia and daisies. 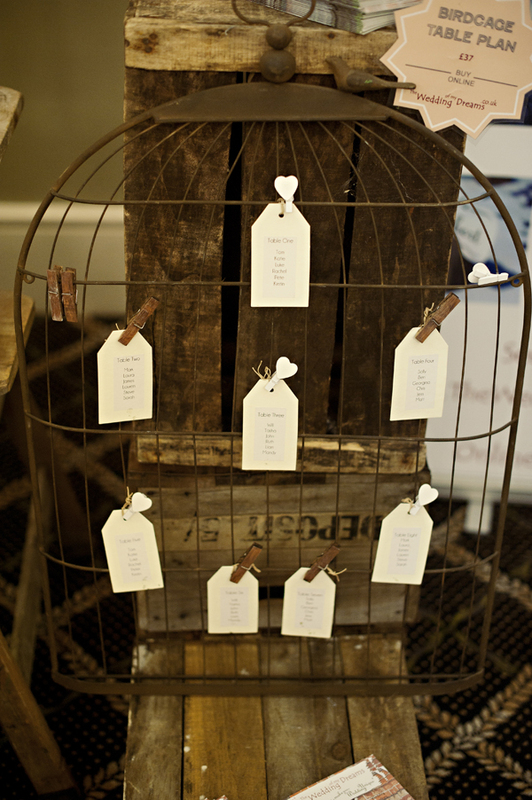 For birdcage lovers out there you’ll love our Vintage Birdcage Wedding Table Plan, use the pegs that come with it or mix and match with white heart pegs. 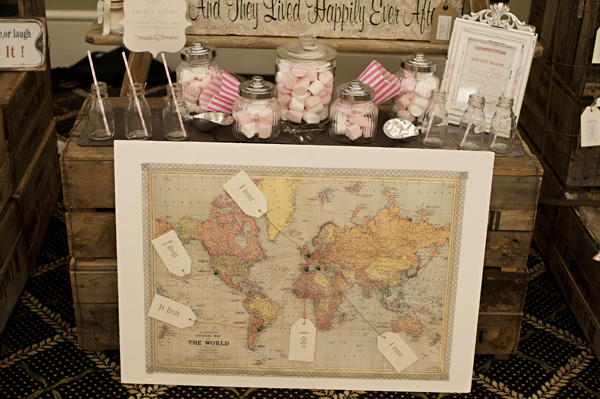 For a different table plan you might choose our World Map Table Plan, name tables after cities or countries which you have travelled to as a couple. 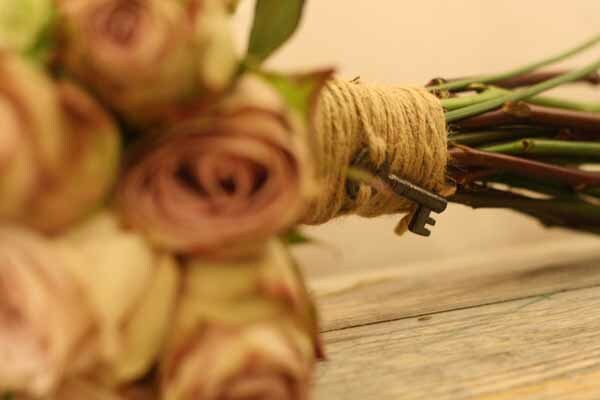 Use our antique keys to finish off bouquet wraps. 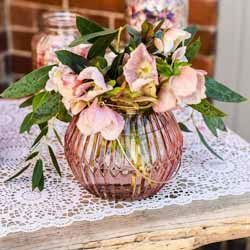 This bouquet was on our other stand, pop over to our sister company Passion for Flowers blog to see some of our floral designs. 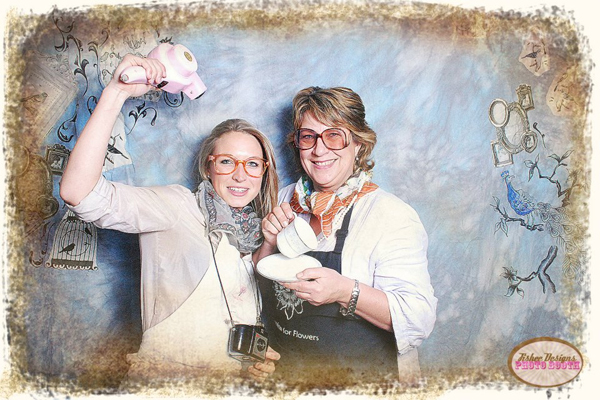 We took time out from our stand to have a bit of fun with Fishee Designs Photo Booth, a fab vintage themed photo booth!